Carlo Collodi was born Carlo Lorenzini in Florence as the son of Domingo Lorenzini, a cook, and Angela Orzali, a servant. While he joined a seminary as a young man, Collodi found politics more interesting, when the movement for Italian national unification spread. At the age of twenty-two, he became a journalist that worked for the Italian independence struggle. In 1848 he founded the satirical journal Il Lampione, which was suppressed in 1849. His next periodical, La Scaramuccia, was more fortunate, and in 1860 he revived Il Lampione again. Collodi also wrote comedies and edited newspapers and reviews. He took the pseudonym 'Collodi' from the name of the town where his mother was born. In 1861, when Italy became a united nation, Collodi gave up journalism. After 1870 he settled down as a theatrical censor and magazine editor. He turned soon to children's fantasy, translating Italian versions of the fairy tales of the French writer Charles Perrault's. It was Perrault who reintroduced such half-forgotten tales as 'Little Red Riding Hood,’ 'Sleeping Beauty,’ and 'Puss in Boots.’ Collodi also began to write his own children's stories, including a series about a character named Giannettino. The first chapter of Pinocchio appeared in the Giornale dei bambini in 1881 and became an immediate success, but the church fathers were afraid that Pinocchio would encourage rebellion. The story depicted a wooden puppet carved by a friendly old man called Geppetto. Pinocchio comes to life, but has to learn how to be generous through hard lessons. His feet are burned off, he is chained, and then hanged. Original illustration was made by Eugenio Mazzanti (1883). The story was first translated into English in 1892 by M.A. Murray. 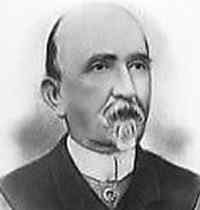 Collodi died in Florence on October 26, 1890. The first sketch illustration of Pinocchio was made in 1883 by Enrico Mazzanti. Giulio Antamoro made a silent film version in 1911. Luigi Comencini's film version from 1972, starring Gina Lollobrigina, was more faithful to the somber, original story than Walt Disney's animated movie, produced in 1940. Roberto Benigni's Pinocchio (2002) was cut for the American audience. Pinocchio includes a complex web of moral questions. Critics have noted its antiauthoritarian tone, the contrast between wealth and poverty, and distaste for the hypocrisy of the judicial system. When a moralizing cricket gets in his face, it gets squashed. Eventually Pinocchio grows from an egoistic child, guided by the pleasure principle, into an adult who understands the feelings of other people. The psychological studies of the story include Freudian analysis of the puppet's nose - of course - and a Jungian approach to "shadow" figures such as Lampwick. Classic children's tale of a boy made out of wood who takes on more and more human traits (including a nose that grows when he lies), until he finally becomes fully human.